IRVINE, Calif. /California Newswire/ — Cloudvirga(TM), a leading provider of digital mortgage point-of-sale (POS) software whose enterprise technology is powered by the intelligent Mortgage Platform(R), today announced the closing of a $50-million Series C funding round led by private-equity firm Riverwood Capital (Riverwood) with ongoing participation from Upfront Ventures. The new funding will support Cloudvirga’s mission to help lenders reduce record-high loan production costs via automation and empower borrowers with greater transparency and engagement in the mortgage transaction. “The mortgage market is one of the largest in the country, yet innovators are still nibbling on the edges of mortgage automation,” said Riverwood executives Scott Ransenberg and Jay Schneider. “Cloudvirga has the right fusion of mortgage and technology DNA to transform the way lenders do business. Cloudvirga’s blue chip customer base, which includes many of the largest and most sophisticated mortgage lenders in the country, is a testament to their unique end-to-end solution.” With this funding, both Schneider and Ransenberg will join Cloudvirga’s board of directors. Cloudvirga had previously raised over $27 million, including a nearly $20 million Series B led by Blackstone Group (NYSE: BX) portfolio company Incenter and a $7.5 million Series A led by Upfront Ventures, Tribeca Angels and Dallas Capital. Cloudvirga’s total investment support now exceeds $77 million. DCS Advisory LLC acted as the exclusive financial advisor to Cloudvirga in connection with the current transaction. Cloudvirga’s digital mortgage point-of-sale (POS) software, powered by the intelligent Mortgage Platform(R), uniquely combines a world-class borrower experience with a truly automated lender workflow that radically cuts overall loan costs, increases transparency and reduces the time to close a loan. Founded by top fintech veterans with a track record of building successful mortgage technologies, Cloudvirga’s customer base includes eight of the top 40 non-bank mortgage originators. To date, Cloudvirga has raised over $77 million from some of the country’s top lenders and private-equity firms. 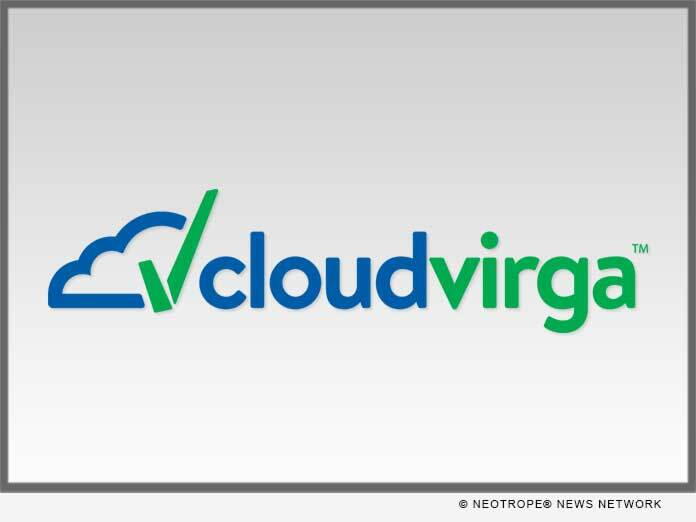 For more information, visit http://www.cloudvirga.com or follow Cloudvirga on LinkedIn. Riverwood Capital is a private equity firm that invests in high growth middle-market technology companies. Riverwood offers a unique combination of operational, strategic, technology, and financial insight to portfolio companies. The firm partners with established businesses with a proven technology and business model, and the proper fit in terms of culture and values, in both minority and control situations. Riverwood has offices in Menlo Park; New York; and Sao Paulo, Brazil. For more information, please visit https://www.riverwoodcapital.com.